Gualco 47mm Silver plated metal staple, Mack++ shape with "Transparent thread" but regular nylon threads are also available. The characteristic is the focus of every notes with well projection. They work for my recital, sound easier on the Mozart quartet. So different with the cork staple, thank you for letting me feel what is possible. This staple works so well for playing 1st in orchestra. 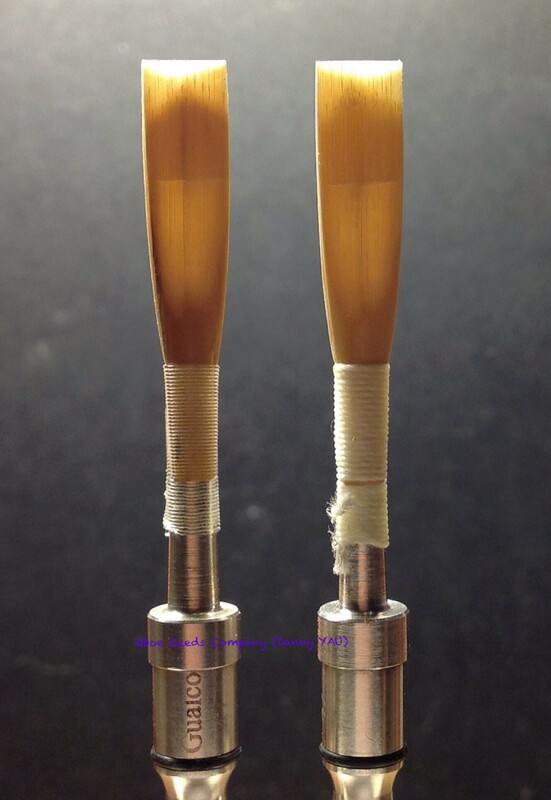 Such a simple and easy handling oboe reed. 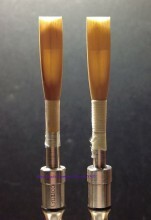 Congratulations for your website, this reed works so well on my Loree for almost two years especially the Royal 125. Click the button below to add the Custom Reed (Gualco Silver) to your wish list.